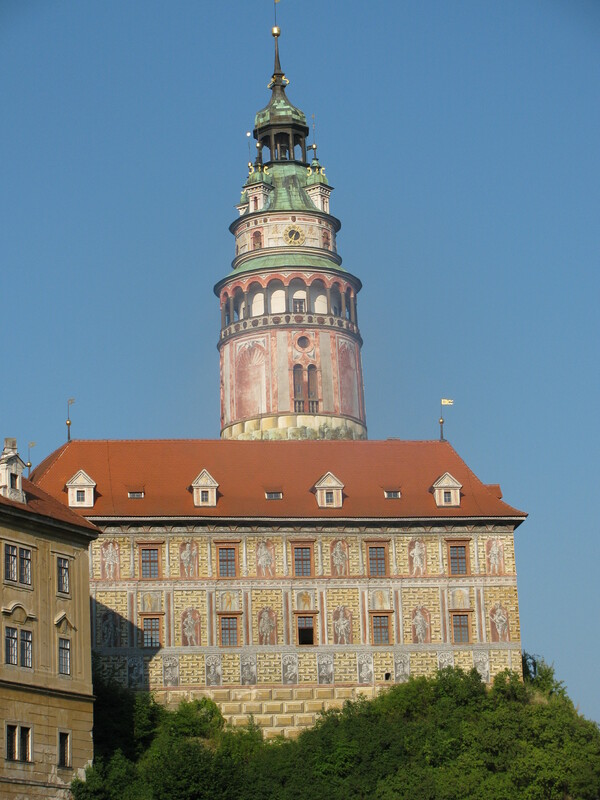 So, dear readers, you graciously put up with my hand-wringing about whether I would make it through our six days of biking in the Czech countryside. Guess what… I did it! It was actually a piece of cake compared with riding Tunnel Road and the Three Bears in Orinda. There were a handful of hills, but they were not too steep and not too long. 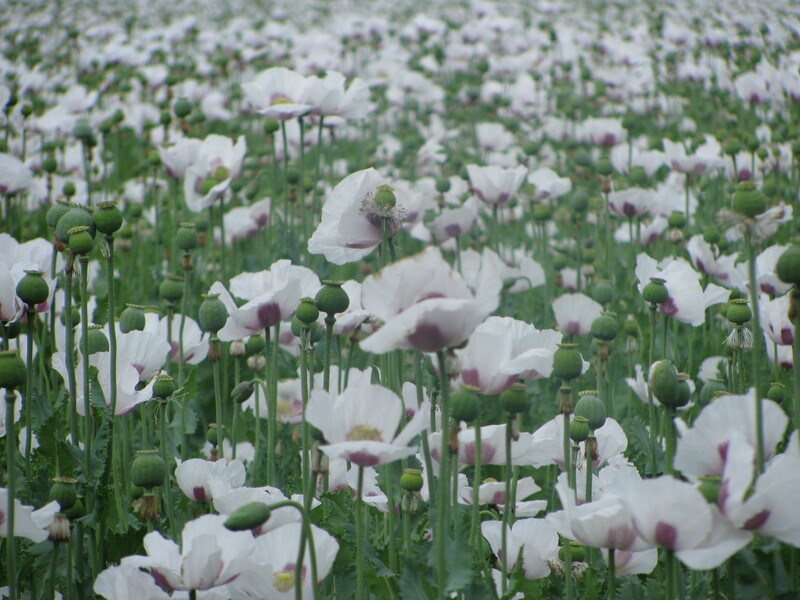 The countryside was gorgeous — poppy fields, woods and rivers, chateaux, small towns filled with 13th and 16th century buildings. Our guide was personable, warm, knowledgeable and a passionate explicator of Czech history and culture. The hotels and other logistics were great. And — get this — you get to drink beer while you ride! Czech beer is terrific. It is cheap. At about a dollar, a huge stein of beer is cheaper than bottled water. The countryside is dotted with pubs, each one serving a different local beer on tap. And Czech beer apparently has a lower alcohol content than U.S. beer, so you can stop for a beer break without worrying about the consequences. 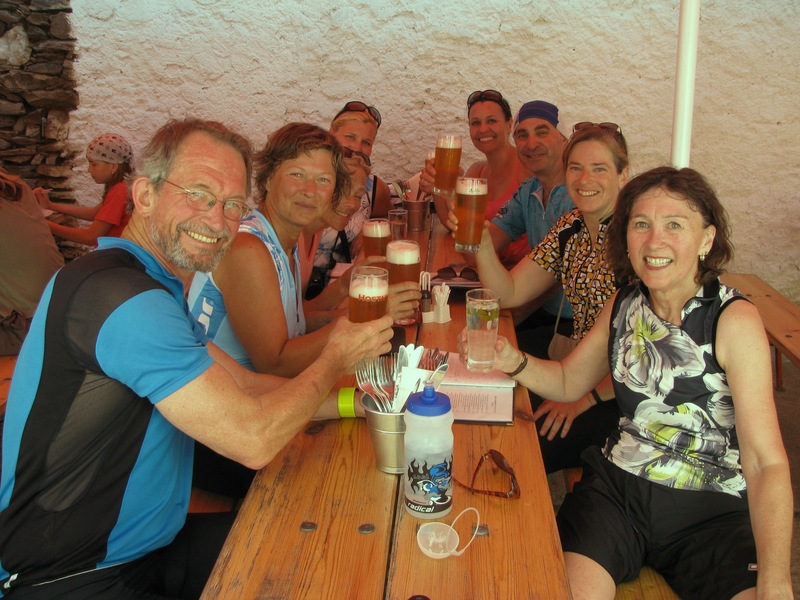 We’d typically do some sightseeing and then ride in the morning, stop for a huge, delicious lunch and a beer, ride some more, stop for a mid-afternoon beer, and then ride to our hotel in time for for a little more sightseeing and dinner. And another beer. Or a glass of wine — we had some very good Moravian white wines. Biking in Europe for the first time, I was struck by just how fitting bicycles are for seeing that part of the world. 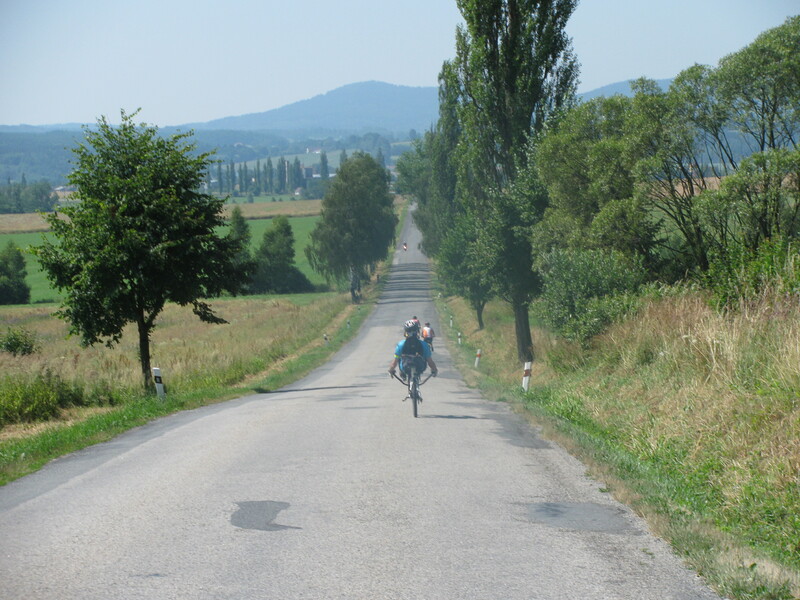 Unlike the U.S., Europe exists on a bicycle scale. Its villages and towns were formed in an era when walking or horseback riding were the only forms of transportation. 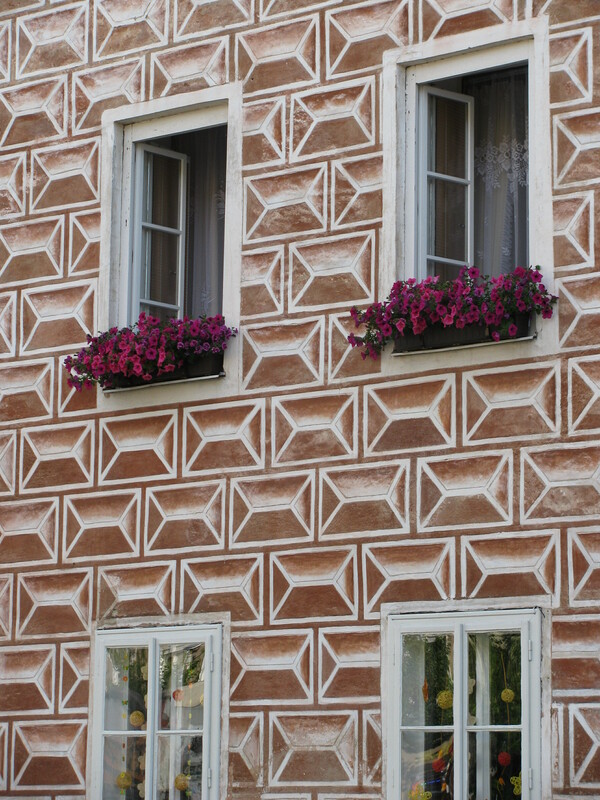 Many villages are spaced about a day’s walk apart. So the scenery is varied — you pass through a village, ride through some fields, come to the next village, cross a hill, come to another village. 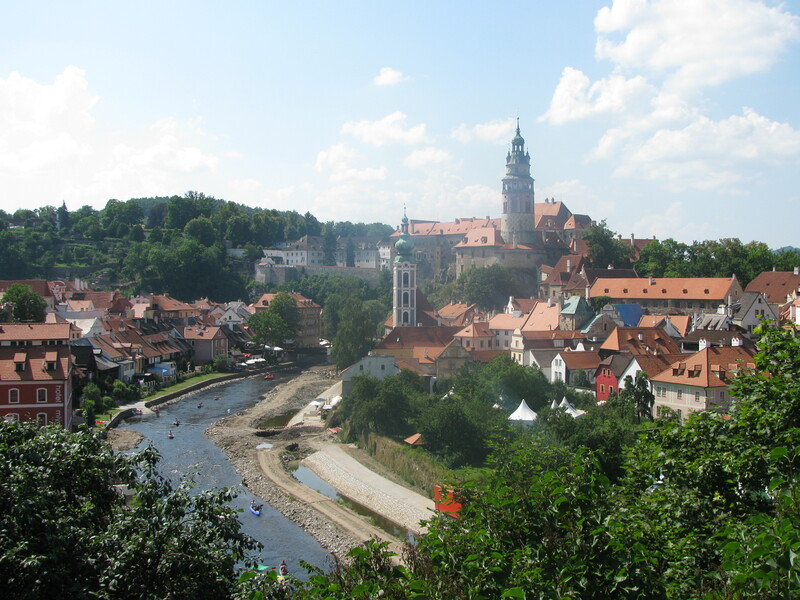 We stayed overnight in seven small Czech villages — Valtice, Mikulov, Vranov nad Dyji, Telc, Jindrichuv Hradec, and Trebon, and in one larger town, Cesky Krumlov. We could have visited them all by car or bus. But it wouldn’t have felt the same. 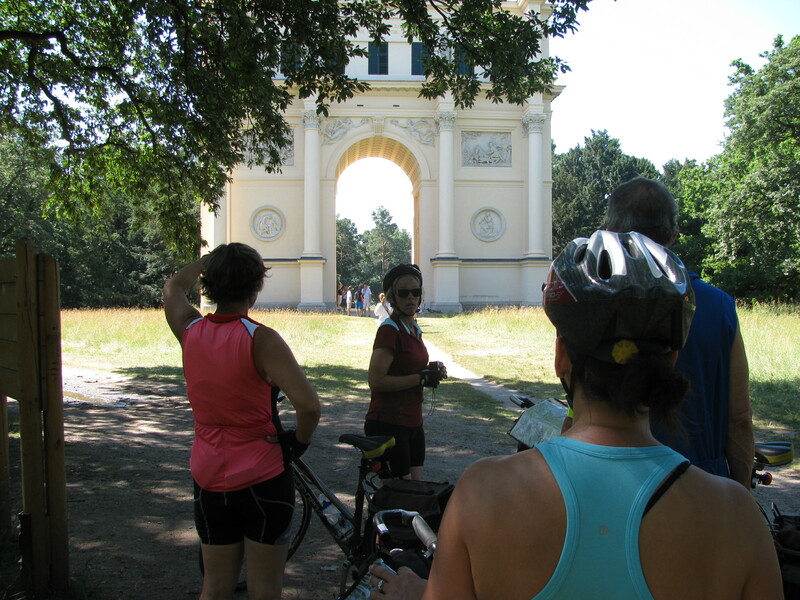 So there we were, biking along a deserted dirt road in a wooded area, and we’d come upon a grassy clearing with… an Arc de Triomphe! It was surreal and amazing. And it was something that couldn’t have been done by car. Initially created by hiking enthusiasts in the late 1800s, the Greenways paths were revived as a non-profit project after the end of communism in 1989. 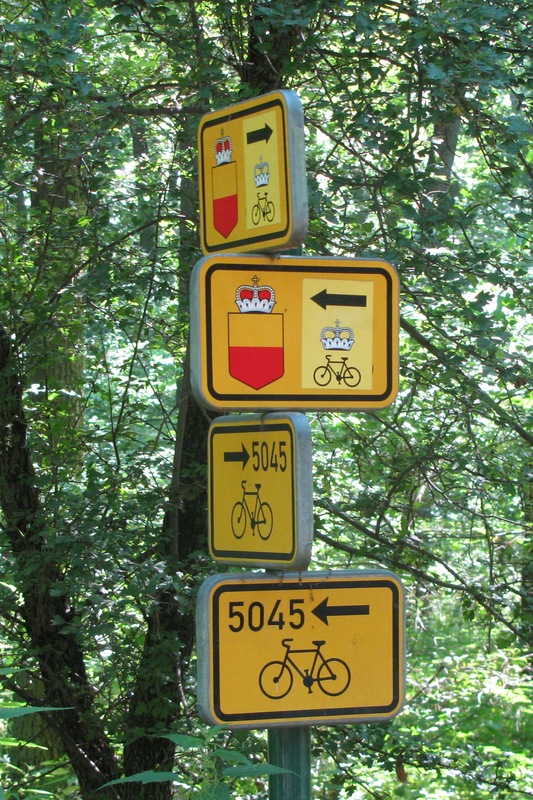 There were mileage markers and directional signs for bicyclists everywhere we went. 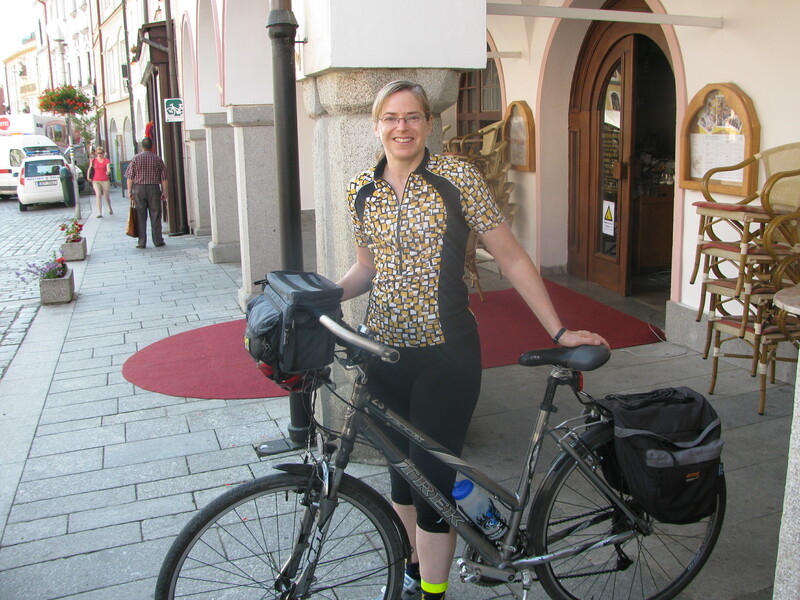 It’s part of a culture that, at least in this southern part of the Czech Republic, is very bike-friendly. We passed tons of Czech families biking with their kids. We passed villagers biking to and from their homes. There were pubs and cafes with facilities for bikes, and hotels that are certified by the government as bike-friendly. Even the automotive traffic seemed more deferential and friendly to bikes than most places in the U.S.
So… rolling hills that aren’t too steep or long. Constantly changing vistas. Bike-friendly drivers and trails. Minimal traffic. Beer breaks every ten miles or so. Hey, if we had all that here, I’d be biking with Sam every weekend. It’s something we should aspire to, here in the U.S. — the bike trail network, if not the beer. This entry was posted on July 19, 2010 at 3:09 pm and is filed under Uncategorized. You can follow any responses to this entry through the RSS 2.0 feed. You can leave a response, or trackback from your own site. Sounds truly wonderful! How’s it feel to be a stud? Great pictures and commentary, Ilana! You were in good enough shape to do the full ride, AND to record it in detail! Kudos to your stud trainer Sam and to yourself for the preparation. What a great trip… I’ve never done anything like this, but I think if I ever did it, Europe would offer a great scale, support, and trails for an adventure of this type. Curious if this has inspired you to bicycle more, now that you’ve done this trail. Yes, I think it is inspiring me to bike a LITTLE bit more. I did Tunnel Rd. to the steam trains with Sam yesterday (a “short ride” for him) and would like to do that about once a week.